Should I Pick Up My Rental Car at the Airport or Downtown? If you’re planning a trip, hashing out fun details like what attractions to see or what part of the city to stay in are far more appealing than figuring out the rental car situation. While it may not be the most fun part of your trip, putting some thought into your rental car pick-up location can save you big bucks. One question many people consider is, “Should I pick up my rental car at the airport or downtown?” and it’s a fair question. Unfortunately, we can’t say for sure which scenario is better, as it will depend on each individual’s exact situation. Usually, picking your car up at the airport is incredibly convenient, but, as with most things, convenience may cost you extra. 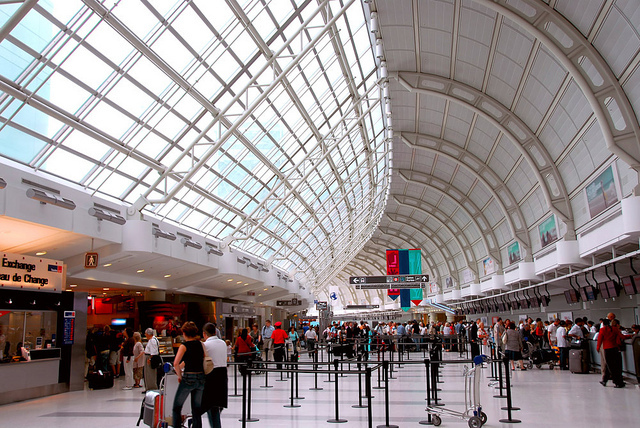 Airports often add facility usage fees to the cost of rentals, which drives prices higher. Compare prices online for renting the same car at different locations – is there a major difference? Would the savings be worth the extra time and inconvenience, as well as cover the cost of public transportation to get to another location? Some cities, like Baltimore, Maryland, tend to charge the same price whether you are downtown or at the hotel, while others, like Rome, Italy, can vary wildly. According to seniortravel.about.com, at the time of writing, Avis charged “$590.40 for a weekly rental of a manual transmission Fiat Punto picked up at Leonardo da Vinci (Fiumicino) Airport, but $680.96 for the same car picked up at Termini Station in downtown Rome.” This situation is unique since the downtown location is far more expensive, but the Termini Station is a bustling train station in the city’s center, which explains the higher price. As you can see, the only way to find out which pickup location is best for you is to do some research, compare prices, and weigh the pros and cons of picking your rental car up downtown rather than at the airport. Car Tips: To Buy or To Lease?